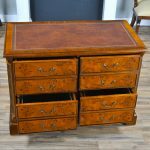 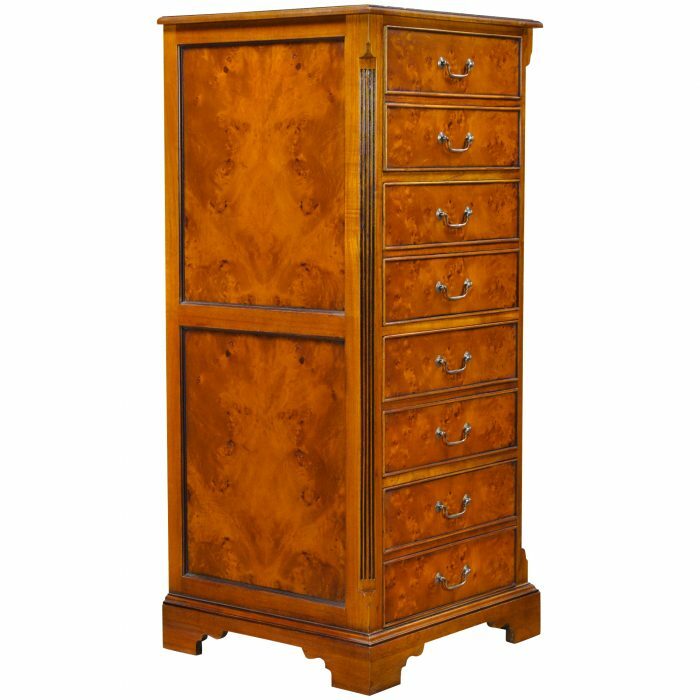 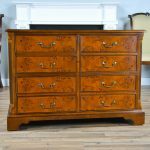 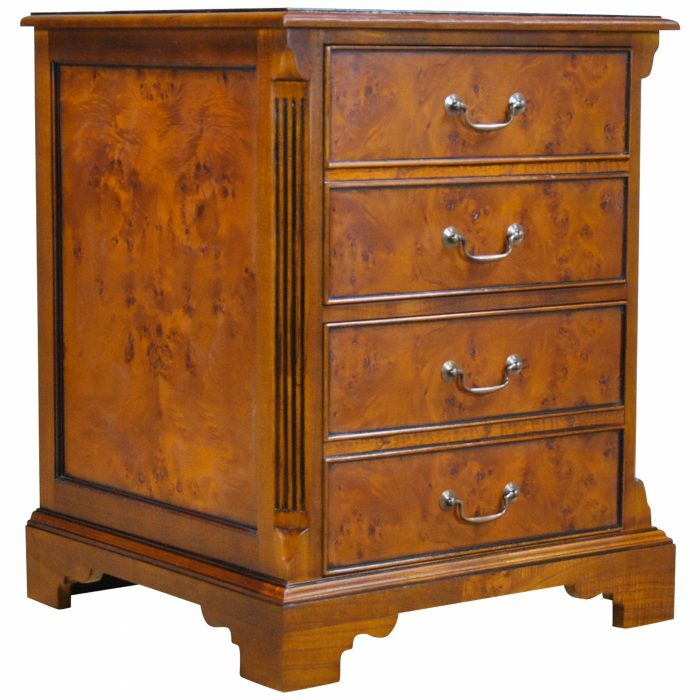 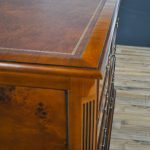 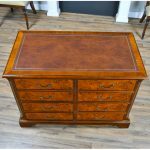 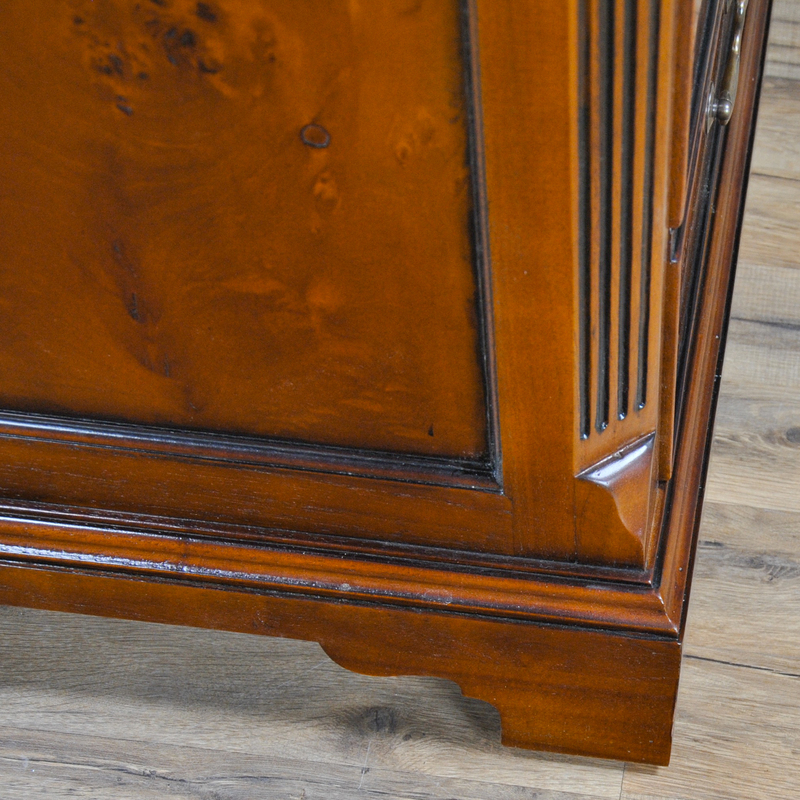 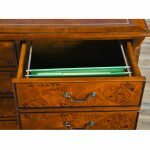 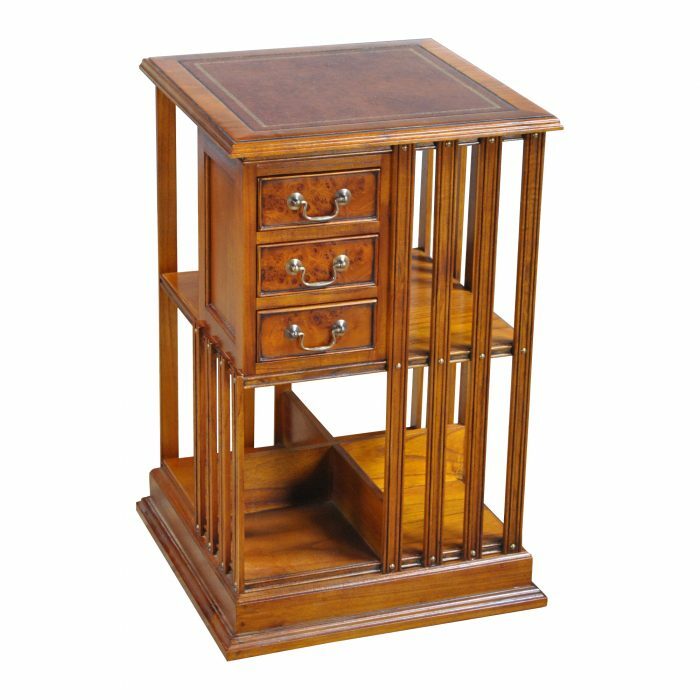 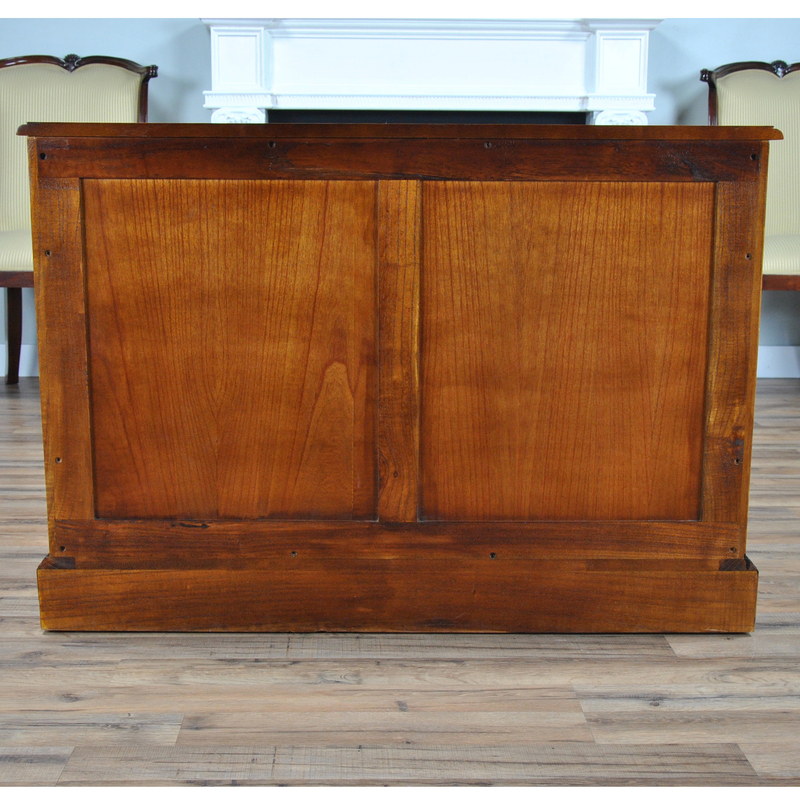 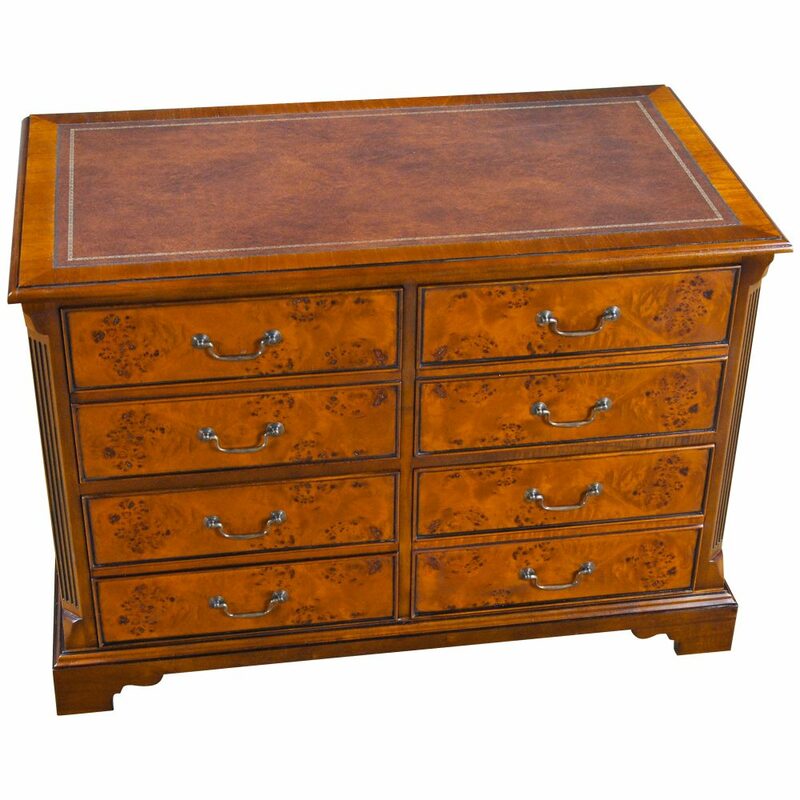 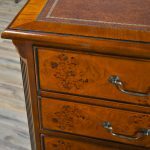 A highly functional and decorative piece this Country Estate Four Drawer File cabinet from Niagara Furniture is made with fine quality burled wood. 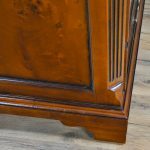 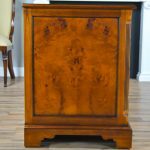 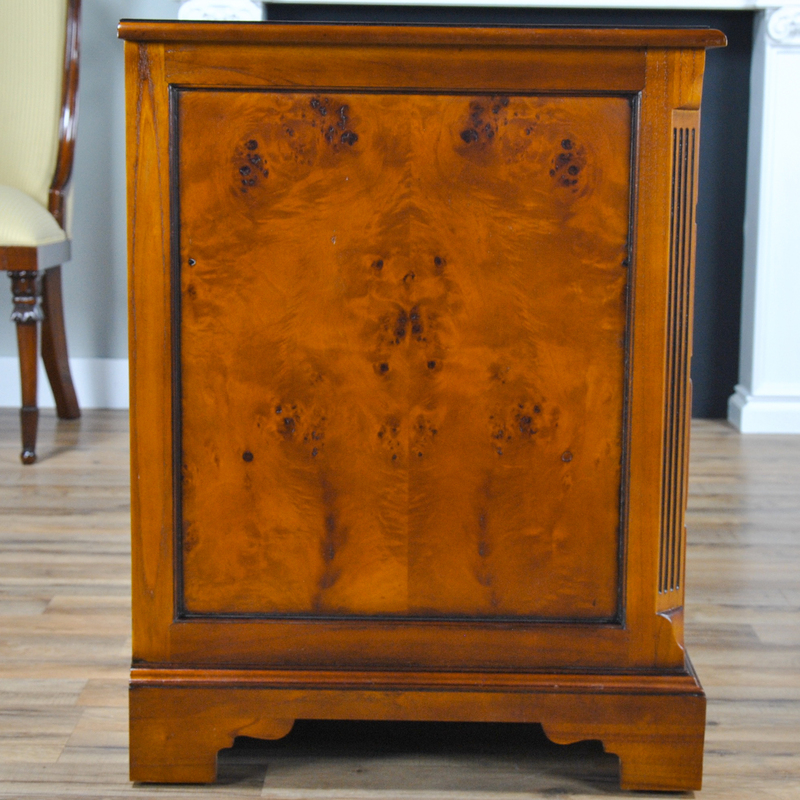 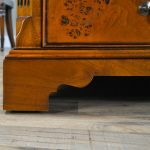 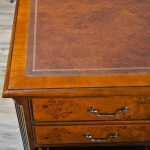 The top of the cabinet is covered in a full grain brown leather panel which is attractively tooled around the edge with gold tooling. 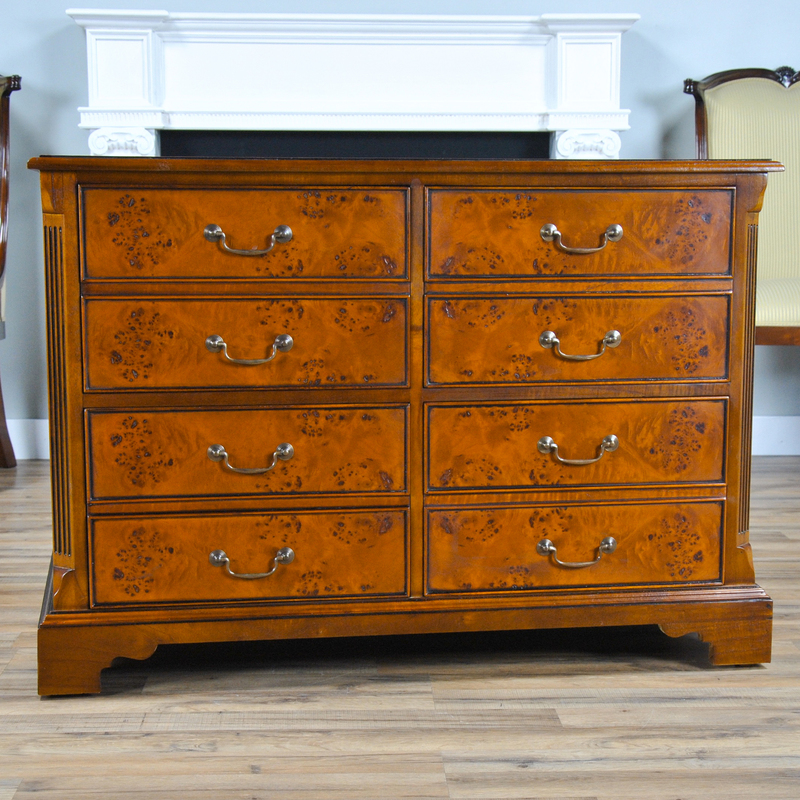 In the front are eight faux drawers, each having applied moldings and displaying lovely matched veneers. 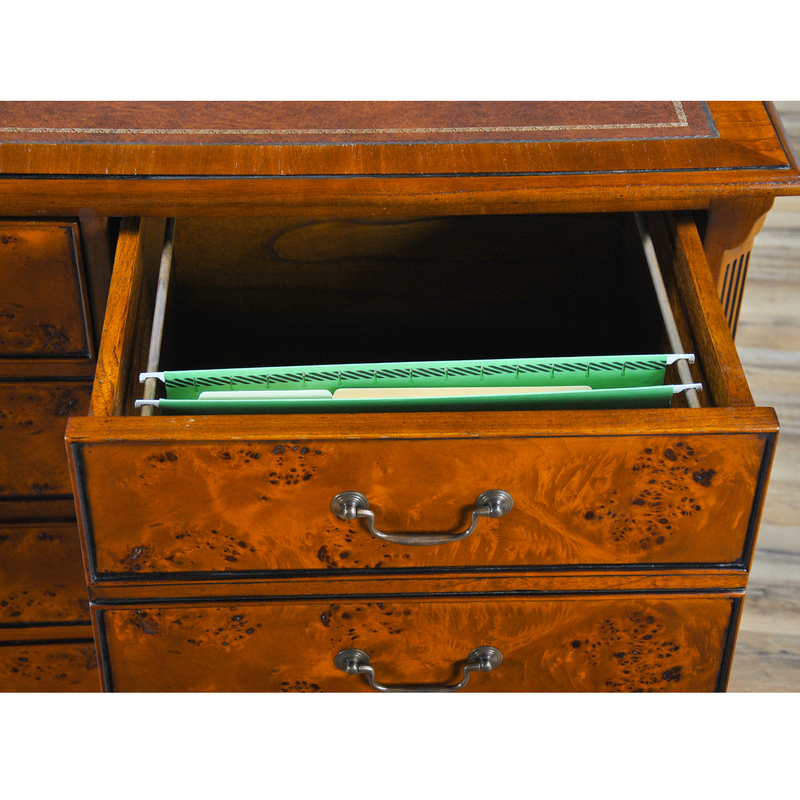 Each drawer has solid brass handles and the eight drawer fronts open as four large hanging file drawers all on steel runners. 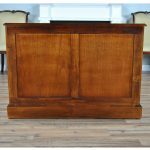 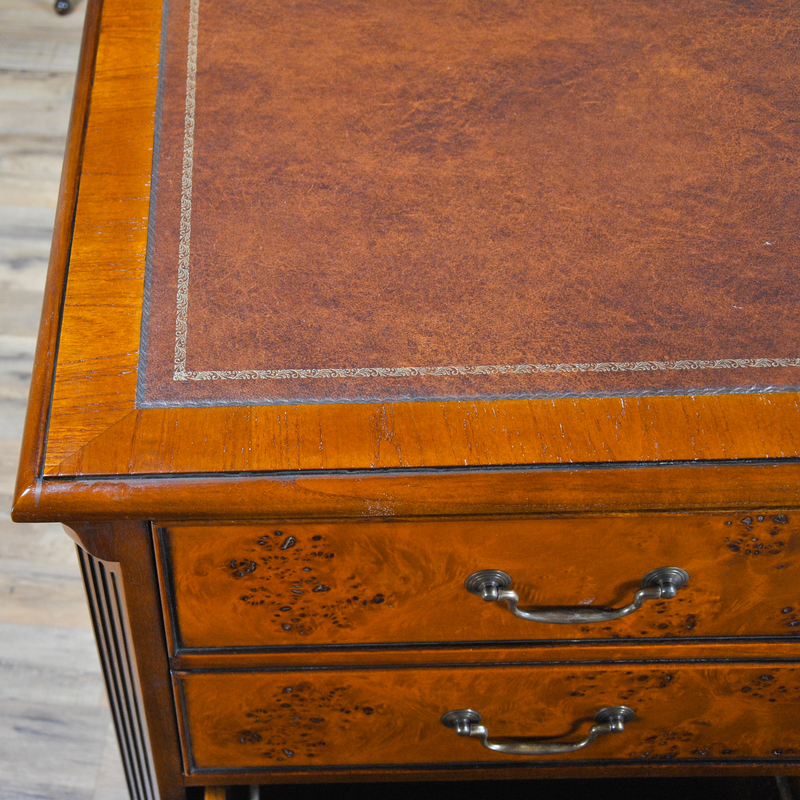 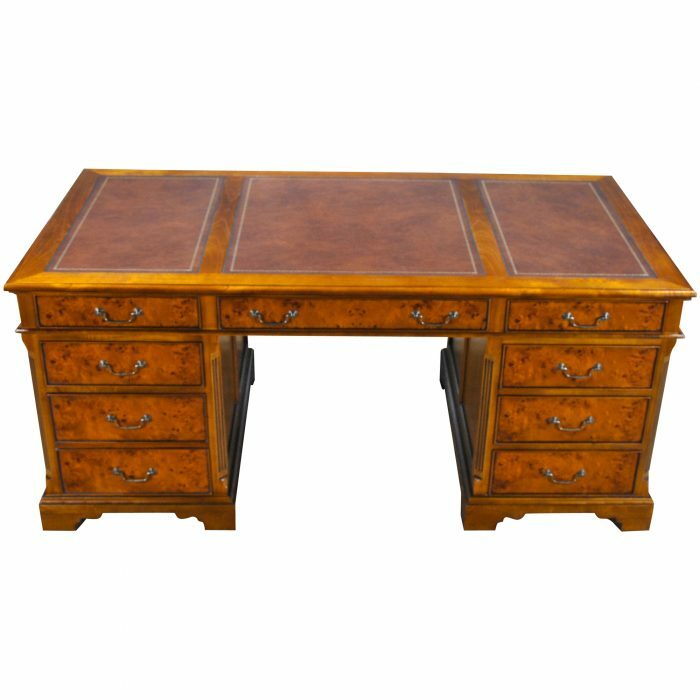 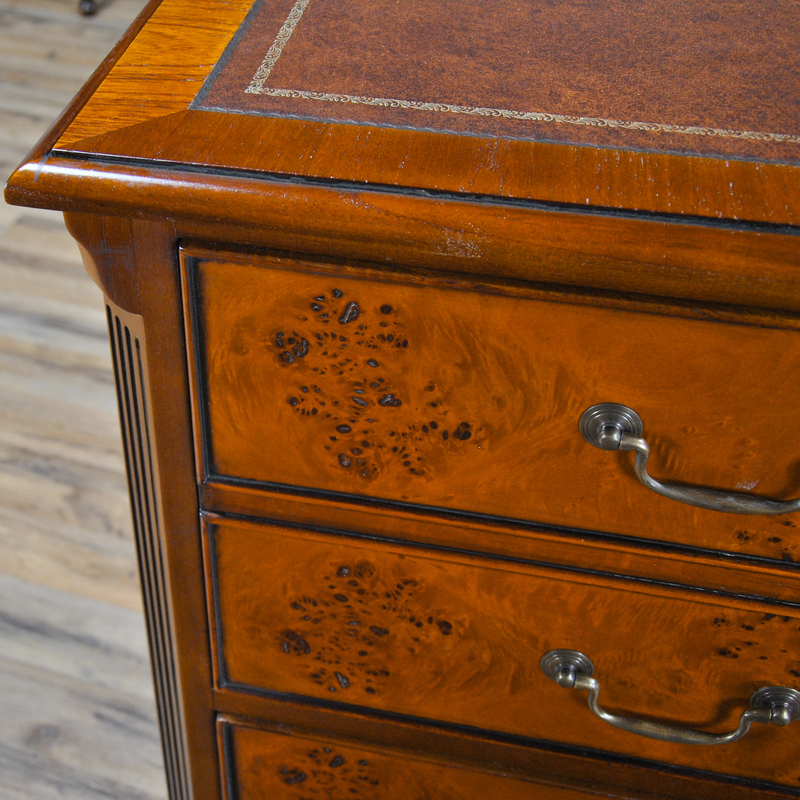 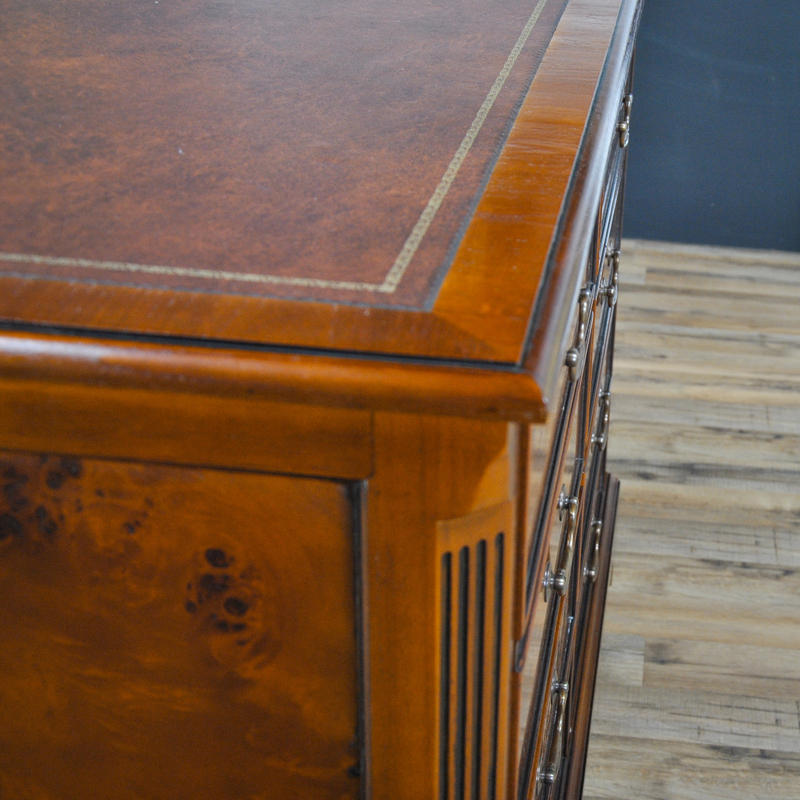 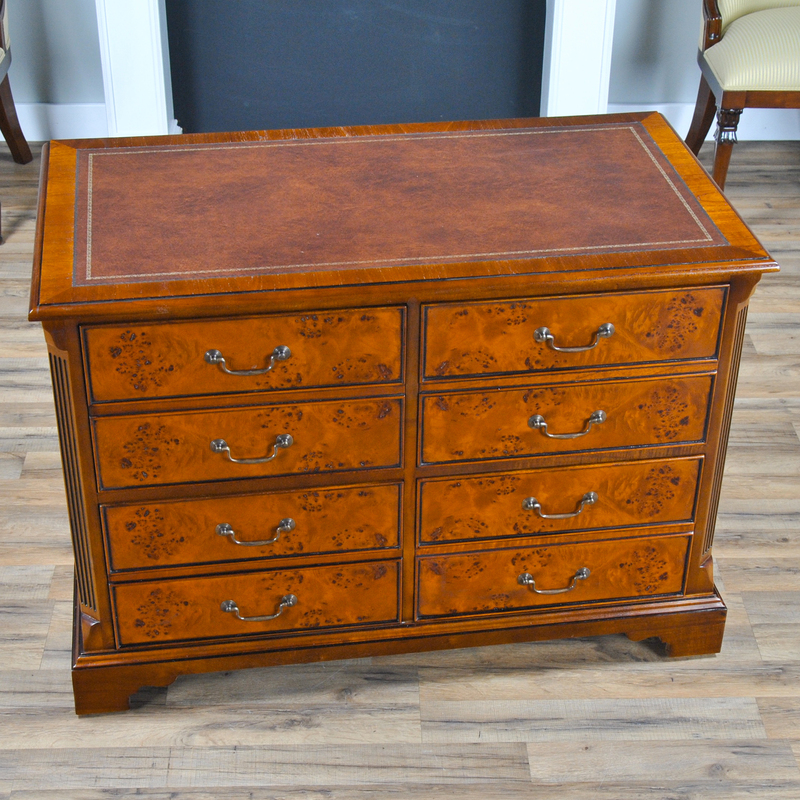 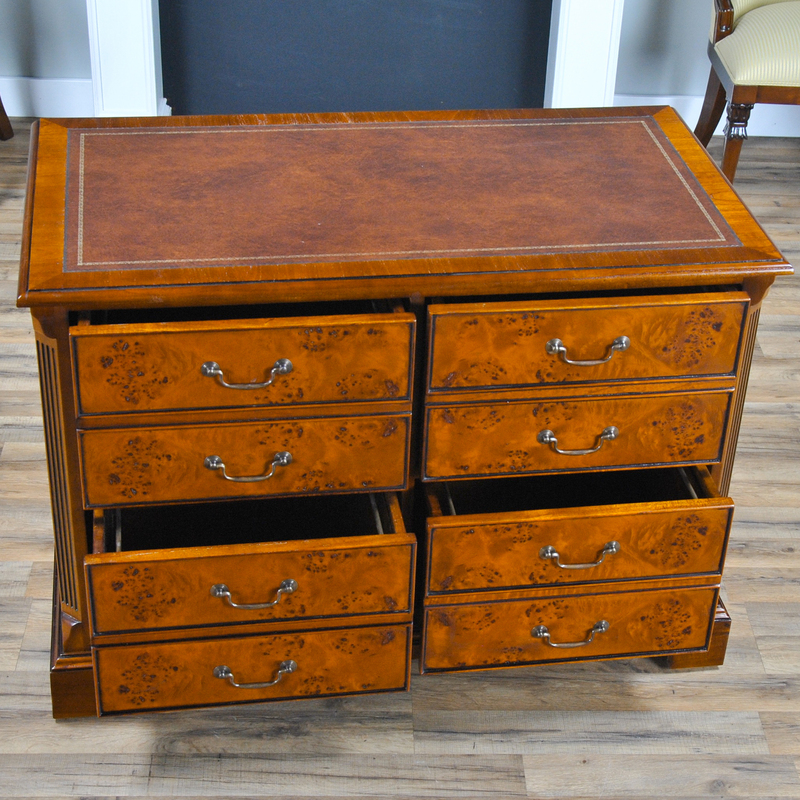 The side of the Country Estate Four Drawer File is also decorated using high quality figured, burled veneers as well as solid moldings. 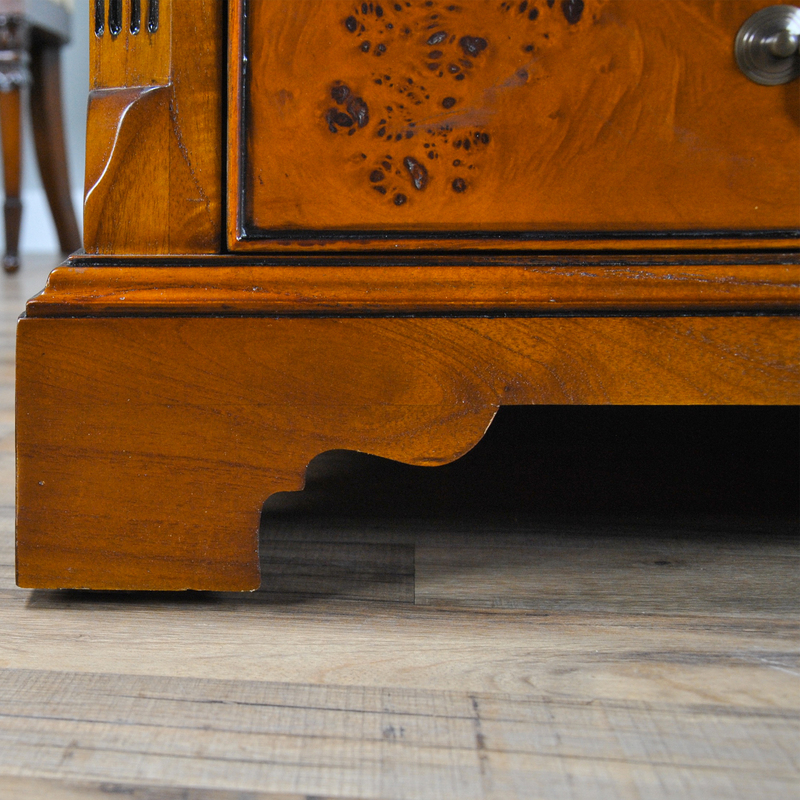 This cabinet matches many other items in our Country Estate office collection.